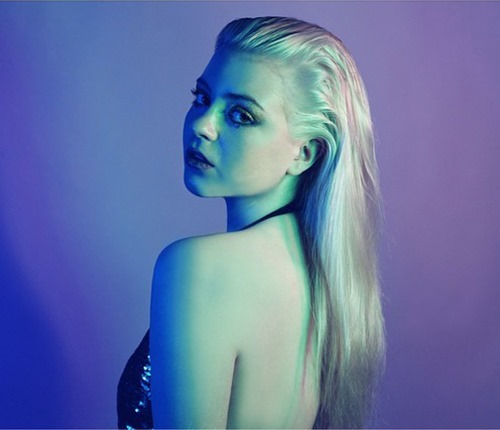 Eighteen year old Glaswegian singer KLOË has offered up her second slice of moody ElectroPop in the form of Feel. The track follows on from her critically acclaimed and much-hyped début track Grip and once again sees her teaming up with fellow Scot Prides’ Lewis Gardiner on production duties. Both track, Grip and Feel mark KLOË as one to watch in 2016 and 16. With confident débuts like this she’s bound to garner a lot of attention. Her sophomore track is a moody and sumptuous SynthPop epic. R&B undertones dictate the track swing while Gardiner serves up a symphony of lush synths and bombastic stings. KLOË’s voice sounds older than her years and she delivers a passionate performance and a huge range. Pluming synth and grandiose, soulful, vocals; what more can you ask for? Check out more from KLOË on SoundCloud.